Bragg on Bragg autographed DVD available at Deaf West Showcase! Renowned actor, mime, and storyteller, Bernard Bragg, will perform a new show, about the mistakes, misadventures, and accidents that take place while performing, and how these can apply to life too! TICKETS: $20 adult, $10 children under age 13. Purchase at door. Cash only. Email alfie.lumabas@gmail.com to reserve your seats. Don’t miss out on this rare opportunity! Greetings, folks! 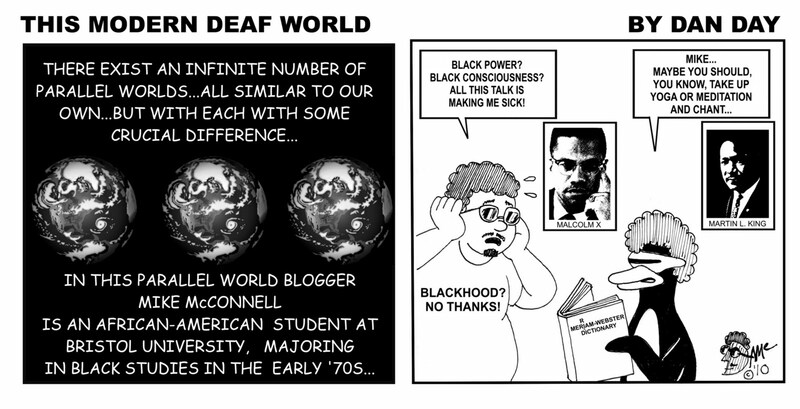 I think this comic strip above is applicable to our deaf community and the issue of deafhood. My friend Don Grushkin had posted it on his Facebook page and it has been generating a great deal of comments since yesterday. Yes, this is the same Don Grushkin that Mike McConnell dissed, mocked and misconstrued in some ways in one of his blogs. A bit about Baldo: it was created by two Latino cartoonists, Hector D. Cantu and Carlos Castellanos, who are fellow Americans like you and me. Cantu was previously Production Director at Quick in Dallas, TX, and Managing Editor at award-winning Hispanic Business magazine in Santa Barbara, CA. He wrote articles for the Los Angeles Times Magazine and Hollywood Reporter. Castellanos, a free-lance illustrator since 1981, lives in south Florida with his wife and family. According to their website, the premise of the strip is Baldo "is a teenager who lives between the influences of his U.S. and Latin American cultures. And while the strip has a strong father figure, there is no mom." I can relate to this comic strip in a few ways: I came from a multi-cultural background. My father, a Latino, was born in Europe to an U.S. diplomat and a Chilean socialite and daughter of a senator. My mother is a full American of Irish-English heritage. My stepfather, likewise a full American, is a third generation of Swedish and Italian immigrants. I grew up in a hearing family, being the only one who is deaf. Cantu remarks on his website,"Growing up Latino in the United States can be a great experience....it can be hard. It can be an exciting experience. It can be rewarding. It can be funny. We hope that through Baldo we can share some of the humorous part with people everywhere." The same can be said for my experience growing up as Deaf in a multi-cultural family. It is quite very complex. I know three languages - English, ASL and Spanish. My life has been one big interesting experience for me that I hope to convey through my comic strips and art. I see myself as living in two worlds, one deaf and the other hearing. In regards to the issue brought up in this comic strip, I see myself as somewhat acculturated. I am not all "Deaf Power, ASL only, no-speak Deafhood with the capital 'D'." I can speak and lipread a little, but I prefer to sign in ASL, the language that I feel comfortable communicating in. I have deaf, hard of hearing and hearing friends that I hang out with. I am tolerant of various aspects of our Deaf Culture. I see ourselves as one big Family. Aren't we? Folks, where do you see yourself as - acculturated or assimilated? P.S. - I have just joined Facebook. If you'd like to visit my page and become my friend, you can click on this link here. Other news: I will be going to Las Vegas this week for DeafNation Expo, so if you're going there, see you there! Legendary Deaf performer Bernard Bragg shares a lifetime of performances, experiences, and memories in this newly released DVD, Bragg on Bragg! With a mixture of classic-to-modern video clips and Bragg’s insightful narration, we are offered a special window into his life. 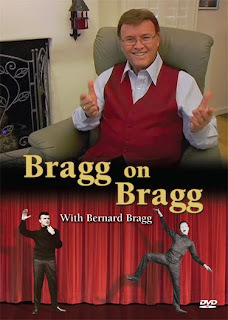 This DVD is filled with rare clips, life experiences, and performances to delight those who already cherish Bragg’s work, and enlighten new generations. The “bonus features” section contains select clips of Bernard Bragg from his interview on San Francisco TV KQED in 1959 to a “must see” clip entitled Counting Deaf People. Bernard Bragg has amazed, delighted, and endeared himself to decades of audiences from one end of the globe to the other. Actor, mime, educator, playwright, poet, writer, and key figure in the founding of the National Theatre of the Deaf, Bernard Bragg has done it all! PLUS 29 minutes of bonus features! Experience the amazing talents and the legacy of this multifaceted artist! The DVD will debut at DeafNation World Expo in Las Vegas, NV (July 18-23). Stop by our booth and get your copy, or go to our website at www.dawnsign.com and purchase it online. 8 Ways to be Deaf Published! 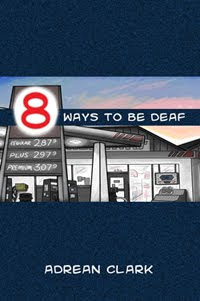 I am happy to announce the publication of my first comic book, 8 Ways to be Deaf. The 52-pages full-color comic also is one of the first ebooks featuring Deaf characters. In the story, a lowly gas station attendant meets the girl of his dreams -- but she's Deaf, and he's his own worst enemy! Can Paul get past himself to win her? Please forward this email on. I am excited about this project after months of work and hope you will all enjoy the story. Don't Forget Matt Hamill's Fight this Saturday! This is a reminder to y'all that Matt "The Hammer" Hamill will be fighting Keith Jardine this Saturday, June 19 at 9pm ET/PT on on the live finale of Spike TV's The Ultimate Fighter: Team Liddell vs. Team Ortiz. For more information on this upcoming, exciting fight, read the press release here. 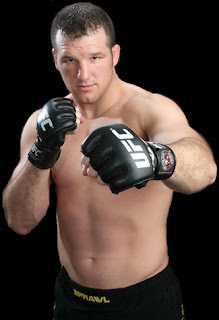 I have had the pleasure of meeting Matt Hamill in person at DeafNation Expo in Pomona, California last month, and boy, he was awesome! He was quite very friendly to me and he was very kind to fans and kids who mobbed him for his photo and autograph. He happens to be a friend of one of my best friends (he was a RIT graduate), so I was fortunate to be introduced to him. Let's root for him this Saturday!! DawnSignPress has very exciting news for you! As of July 15th, we will be releasing a new version of the teacher’s classroom materials CD to be included in every Signing Naturally Units 1-6 Teacher’s Curriculum. In essence, for teachers who purchase the new version of Signing Naturally Units 1-6 Teacher’s Curriculum we are supplying everything you need for classroom teaching. With the release of this new CD version, DawnSignPress has decided to discontinue the original Signing Naturally Level 1 Teacher’s Curriculum, effective immediately. The Signing Naturally Level 1 Student sets are still available for ordering. For those teachers who already own Signing Naturally Units 1-6 Teacher’s Curriculum and want the new CD, contact our home office to purchase the CD for a minimal cost of $9.95 (including shipping). If you have any questions regarding this information, don’t hesitate to contact our Customer Service Department – VP (866) 904-9045 or Voice (858) 625-0600. This Other Irish Deaf Cartoonist pokes fun at Mike McConnell's post "Deafhood? No Thanks." For those of you who aren't familiar with the work by hearing cartoonist Tom Tomorrow, see his website, This Modern World. Everything you wanted to know about deaf cartoons in one stop!